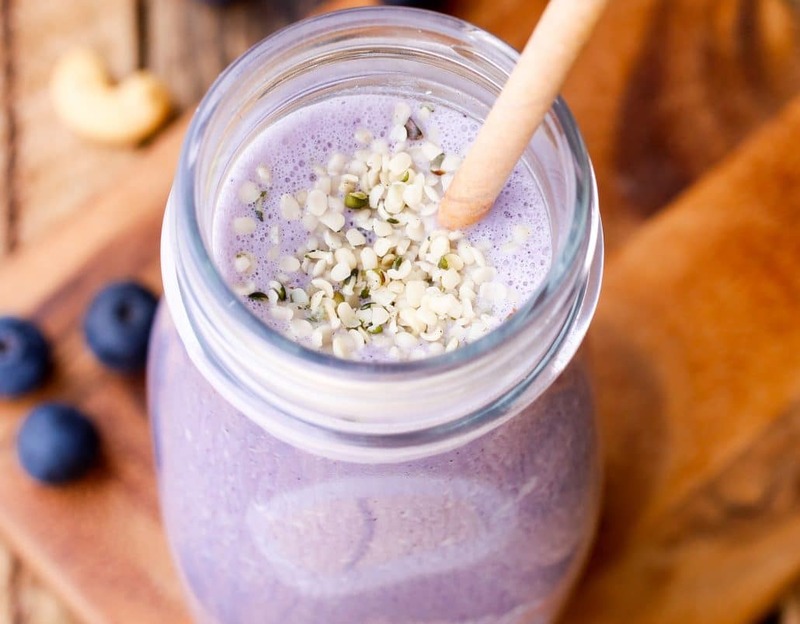 Blueberries are considered an antioxidant superfood and are a great way to combat sugar and carbohydrate cravings. 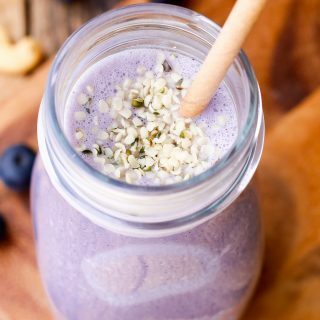 The added healthy fats from the avocado and cashews in this Thermomix recipe give this Blueberry Breakfast Smoothie a beautiful creamy texture and will help keep you feeling fuller for longer. Experiment by using whatever frozen fruits you have at hand. This recipe has Super Skinny, Low Carb, Nut Free and Low Fodmap variations. Made this for myself and 4 year old daughter before kinder this week. We did not use avocado as I cannot have it and we used honey instead of dates as I had none. We put a tablespoon of full fat Greek yogurt. My daughter and I loved this and it was so quick and uses ingredients I always have on hand. Tastes fantastic! Super filling 🙂 I was stoked to see I could get the creamy smooth texture without milk.